In Outlook Web App (OWA), what are the "Premium" and "Light" interfaces? ARCHIVED: In Outlook Web App (OWA), what are the "Premium" and "Light" interfaces? Outlook Web App (OWA) provides two distinctly different interfaces, Premium or Light, depending on the version number of the browser you use to access it. 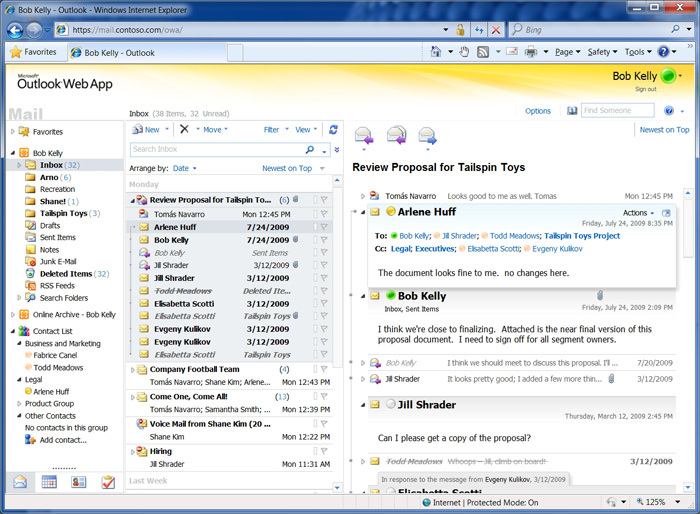 The Premium interface comes closest to replicating the actual Microsoft Office Outlook experience, with some right-click functionality and access to the full feature set. You receive the Premium interface when you are using Internet Explorer 7 and above, Firefox 3 and above, Safari 3 on a Mac, and Google Chrome 5 and above. You receive the Light interface when you are not using one of the browsers or browser versions listed in the premium interface section above, or you have enabled the "Blind and low vision experience" option in OWA. 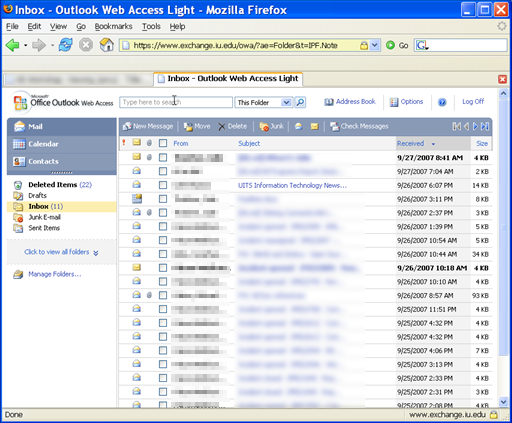 The information above is taken from Microsoft Outlook Help concerning supported e-mail programs and features and Exchange 2010: OWA versus OWA Light. This is document avsg in the Knowledge Base. Last modified on 2018-01-18 15:32:59.